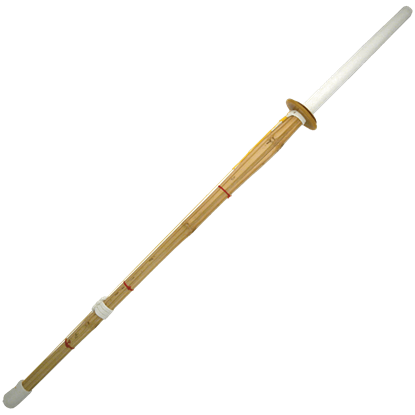 The typical image of a bokken is a full-sized wooden sword. However, training is not limited to a full-sized sword, and so bokken also come in all shapes and sizes. Our Black Engraved Dragon Wakizashi is an excellent example of this fact. Bokken are traditionally left undecorated, because they are designed for sparring and training only. 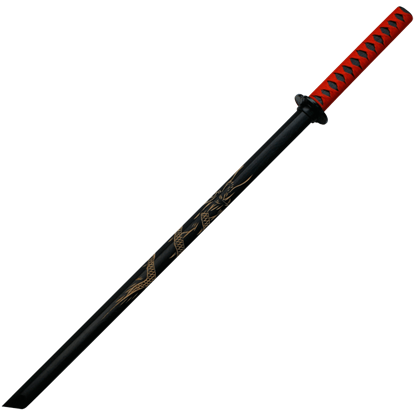 Ornamental bokken, though, do exist. Typically, such bokken, like our Black Engraved Honor Bokken, are meant for aesthetic purposes. Bokken are traditionally left undecorated, because they are designed for sparring and training only. Ornamental bokken, though, do exist. 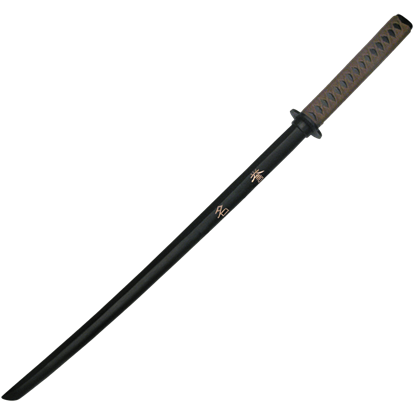 Typically, such bokken, like our Black Engraved Virtues Bokken, are meant for aesthetic purposes. Contrary to popular belief, ninja are not born deadly. Years of training and effort, along with the drive to complete any task, are what make a ninja deadly. Years are spent practicing with mock weapons like this Black Ninja Bokken. Even the best of warriors need to train, and the easiest way to train in safety is to do so with a wooden sword. 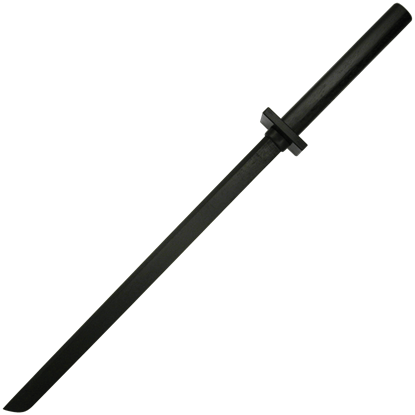 For those who want to perfect the way of the Japanese sword, a Black Practice Bokken will certainly be the weapon of choice. Bokken have been used for years in martial arts. 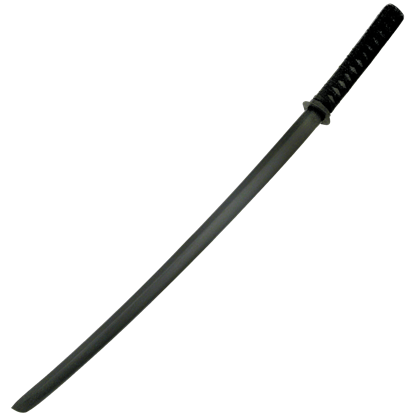 They are highly efficient for training, given the ease of which a bokken can be replaced. 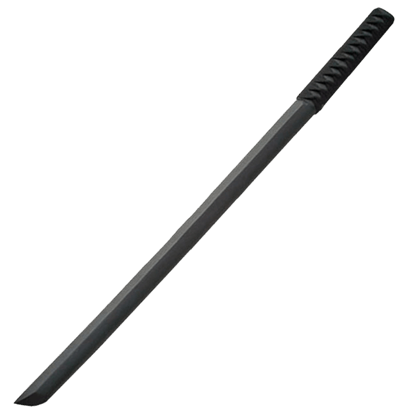 This Black Wood Bokken Sword is a sturdy, effective piece to use for training. 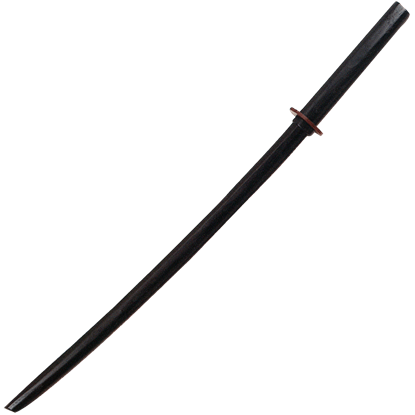 The original training weapon of the samurai was, of course, the bokken - the original wooden sword. 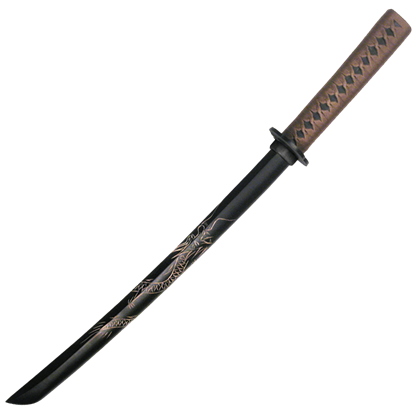 And it is easy to see why, given that most bokkens replicate a katana. The same is true with our Black Wood Daito Sword.